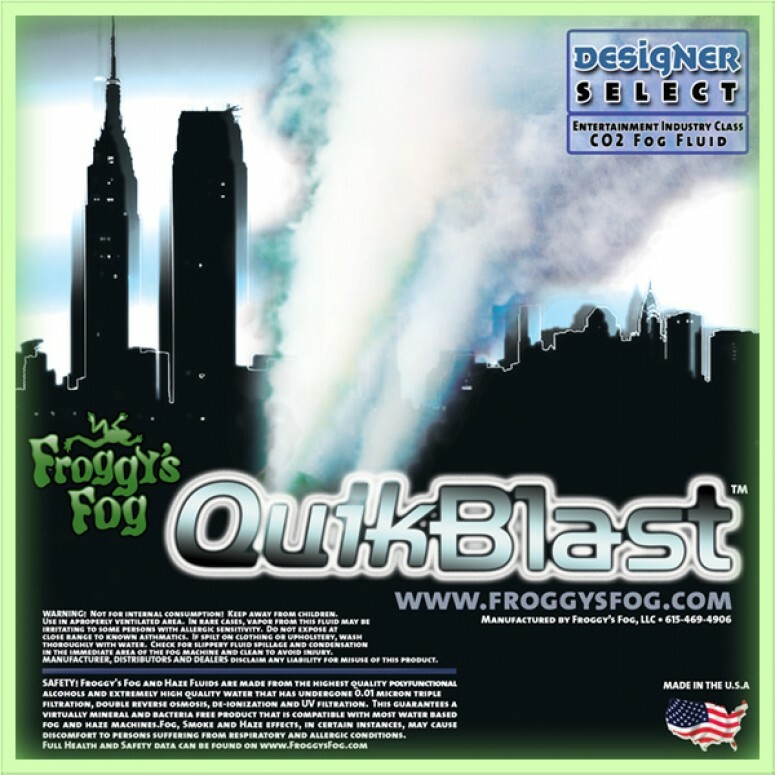 Quick Blast Extra Quick Dissipating Fog Juice is the ideal fluid for "quick smoke" effects such as CO2 canisters and steam pipes. This fluid creates a thick white burst of smoke that is gone in mere seconds. Perfect in Geysers, upshot and flex foggers. Quik Blast- Quik Blast is the ideal fluid for steam pipe and other "quick smoke" effects such as CO2 canisters. This fluid creates a thick white burst of smoke that is gone in mere seconds. 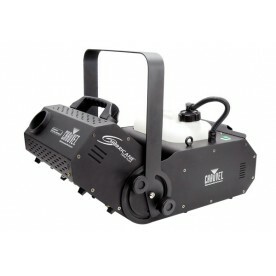 Perfect in upshot and flex foggers to create the effect of a CO2 Blast Effect without the expensive CO2 tanks and cryojets. All Designer Select (DS) Water Based Fluids are made from lab-grade UV-Filtered de-ionized water and pharmaceutical grade chemicals, each approved by the FDA. DS Fluids contain no glycerol/glycerin and all DS Fluids adhere to the strict specific gravity and density requirements of major fog and haze machine manufactures. Froggys Fog puts the best chemicals so you get the best results from your machine. You can rest assured that each of the fluids in the Designers Select line from Froggys Fog has been designed with the longevity of your fog and haze machine in mind. Froggys Fog has "A Fluid for Every Effect!" If you are looking for for the perfect low lying stage fog, the longest lasting water based fog, the right haze juice for your machine, a bubble juice that outperforms the rest or a snow juice that evaporates after floating for only 30 feet, Froggys Fog has that and so much more. Froggys Fog also has scent additives that are compatible with any water based fog, haze, snow and bubble fluid.